My fiancé and I have decided to not invite his mother to our wedding because she is a doped up drug addict that we have not spoken to for over a year. Actually, none of her kids want anything to do with her and refuse to go to our wedding if she will be there. Well, through the family she found out when and where our wedding will be and has said that she is going to come anyway. This could be a major problem because she will cause a big fighting scene. How do we prevent her from coming? Our wedding is an outside wedding. Can we get a Restraining order? This is truly an unfortunate situation, and it must cause a lot of extra stress for you. There are a couple things that you can do. First, have you made it clear to his mother that you do not want her at your wedding? A good first step might be to let her know that she isn’t invited and why. This can be done via letter if you aren’t on speaking terms with her. You may also want to politely spread the word through you invited guests that she is not welcome at your wedding. A restraining order might not be a bad idea in this situation. Get it several months in advance of your wedding so she is aware of it to avoid any extra stress right before your wedding day. The other option is hiring security guards for your wedding. There are companies that will do this, and you can have a list of attendees that the security guards can check against to enter your wedding. You may want to do both – get a restraining order and hire security for your wedding day. It is unfortunate that it has come to this, but you need to take steps to prevent anything from ruining your wedding day. The goal is to have as less extra stress as possible for you on your wedding day, so if there is no other way to resolve the situation you should take these steps. Good luck with everything, and we hope it works out well for you. Let us know what you decide and how your wedding went by adding a comment to this entry. The best thing to do to avoid unwanted guests at your wedding is to hire security guards. You can hire guardNOW private security. They have some of the best guards and are very professional. I used them at my wedding and they were awsome. I was very happy with them. This is a wonderful article. I would like to suggest you that please keep sharing such type of informations. Thanks. I really found this to much informatics. It is what i was searching for. Iphone repair Saskatoon"Such a good post. I must say that i am very interested in your article. I will very happy if you can let me know more about your articles . I look forward to seeing your new articles every day. I think many people like your articles and i will only say thanks for sharing this great stuff. I do agree with all of the ideas you have introduced in your post.They are very convincing and can definitely work. You know it is very useful for me and from many days, i was finding this. Know i am very happy to see your post and appreciate your work. Thanks for sharing. PRO Services in DubaiInteresting and amazing how your post is. It Is useful and helpful for me, that i like it very much, and i am looking forward to hearing from your next. French interpreter in Abu DhabiIt is extremely beneficial for me. Retain sharing such tips in the future also. This is actually what I am trying to find, and I'm glad to come here. The data you used in it is very useful and thanks for sharing the such information with us. 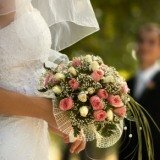 wedding-ideas-guide.com is a great website about wedding. I like this website. 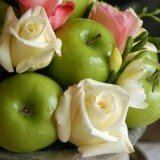 This site is really informative for wedding. I was looking for good wedding ideas and I searched the internet for nearly two hours. And I am now happy that I found this useful website. This is a wonderful article. I would like to suggest you that please keep sharing such type of informative articles.So thank you to share it here.